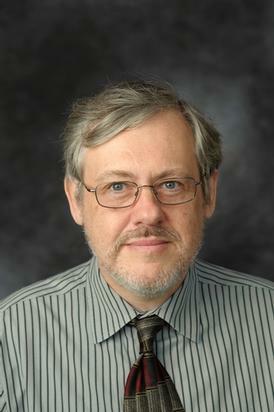 Principal areas of research interest and expertise include the development and application of new theoretical and computational methods for molecular electronic structure, and the application of these to elucidating the potential energy surfaces of molecules in their ground and excited electronic states. Recognized contributions have been made on methods based on hybrid variational-perturbational frameworks, such as quasidegenerate or multireference perturbation theories. Continuing work on embedded subsystems at different levels of theory than the surroundings is extending applicability of earlier gas phase work. Progress has been made on extending quantum chemical approaches to the understanding of molecules in intense electromagnetic fields and on surfaces. A variety of types of concrete systems have been studied, with particular attention on chemical reactions in which nonadiabatic couplings of surfaces are major effects, including metal-containing molecules, catalysts, and combustion reactions. Recent work on parallelization and graphical processing unit (GPU) implementations of computational realizations of theoretical advances has yielded high performance computing (HPC) variants. 102. Popis, M. D.; Popis, S. V.; Oncel, N.; Hoffmann, M. R.; Cakir, D. Study of Iridium Silicide Monolayers Using Density Functional Theory. J. Appl. Phys. 2018, 123, 074301/1–9. 101. Mahmoud, M.; Hoffmann, M. R.; Reza, H. An Efficient Storage Format for Storing Configuration Interaction Sparse Matrices on CPU/GPU. Proc. IEEE - 2017 Int. Conf. Comput. Sci. Comput. Int., 2017, CSCI5001. 100. Huang, C.; Liu, W.; Xiao, Y.; Hoffmann, M. R. iVI: An Iterative Vector Interaction Method for Large Eigenvalue Problems. J. Comput. Chem. 2017, 38, 2481–2499. 98. Tamukong, P. K.; Khait, Y. G.; Hoffmann, M. R. Accurate Dissociation of Chemical Bonds Using DFT-in-DFT Embedding Theory with External Orbital Orthogonality. J. Phys. Chem. A 2017, 121, 256–264. 93. Yao, H.; Guo, W.; Hoffmann, M. R.; Han, K. Relative Phase Control over Tunneling Ionization of H2+ with a Synthesized ω-2ω Laser Pulse. Phys. Rev. A 2014, 90, 063418/1–5. 91. Wu, D.; Guo, M.; Wang, Y.; Yin, S.; Sun, Z.; Hoffmann, M. R. Coriolis Coupling Effect of State-to-State Quantum Dynamics for He + HeH+, Theor. Chem. Acc. 2014, 133, 1552/1–12. 89. Tamukong, P. K.; Khait, Y. G.; Hoffmann, M. R. Density Differences in Embedding Theory with External Orbital Orthogonality, J. Phys. Chem. A 2014, 118, 9182–9200. 88. Zhou, P.; Hoffmann, M.; Han, K.-L.; He, G. New Insights into the Dual Fluorescence of Methyl salicylate: Effects of Intermolecular Hydrogen Bonding and Solvation, J. Phys. Chem. B 2015, 119, 2125–2131. 86. Tamukong, P. K.; Hoffmann, M. R.; Li, Z.; Liu, W. Relativistic GVVPT2 Multireference Perturbation Theory Description of the Electronic States of Y2 and Tc2, J. Phys. Chem. A 2014, 118, 1489–1501. 85. Simakov, A.; Miller, G. B. S.; Bunkan, A. J. C.; Hoffmann, M. R.; Uggerud, E. The Dissociation of Glycolate — Astrochemical and Prebiotic Relevance, Phys. Chem. Chem. Phys. 2013, 15, 16615–16625. 79. Lange, K. L.; Tellgren, E. I; Hoffmann, M. R.; Helgaker, T. A Paramagnetic Bonding Mechanism for Diatomics in Strong Magnetic Fields, Science 2012, 337, 327–331.